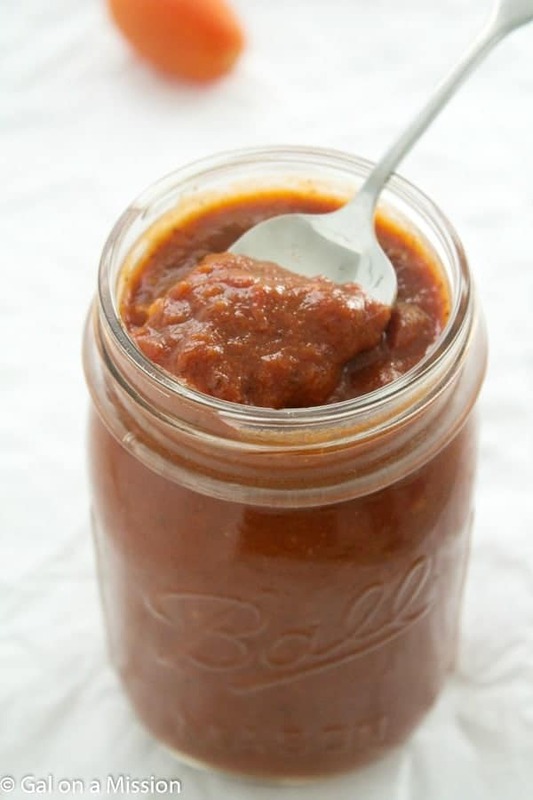 An easy and delicious homemade enchilada sauce recipe! Our family loves it so much it basically goes into any Mexican-flavored dish! We always try to keep a batch of this homemade enchilada sauce in the refrigerator or even the freezer. We pretty much use it in every Mexican dish we can because it really is that good! Your family will love it, trust me. After trying this recipe many times, we are no longer buying store-bought enchilada sauce because it really is so easy to make at home. It even tastes so much better, the plus side – you know what’s in it. I always love knowing what the ingredients are, do you? It always makes me feel great, I am serving my family delicious food with great ingredients, instead of overly-processed ingredients. 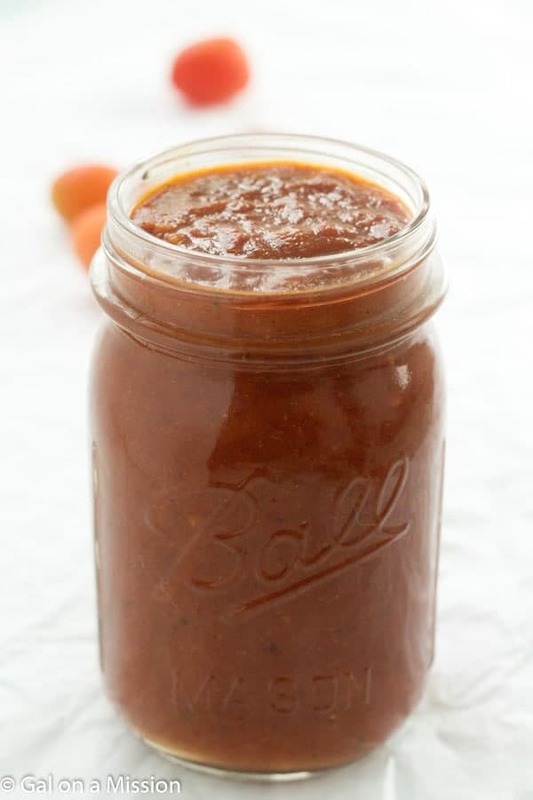 If you would like, you can prepare this enchilada sauce ahead because I am going to be sharing with you a great recipe to use it in tomorrow! We loved it so much, it was gone the next day – with lunches and dinners. Can’t wait to share it. A couple of other great ways to use it in enchiladas, soup, or even in a Mexican stir-fry. A stir-fry would pretty much be anything that you need to use up. Makes me thing, I need to share that recipe that you all. I think you will even love that one too. Any who, this recipe is so easy and you will LOVE it. It can take up to 20 minutes, or even a couple of hours, depending on how much time you have to allow it to simmer. I will tell you, the longer you are able to let it simmer, the better it will taste. If you only have 20 minutes, no need to worry because it will taste great as well. 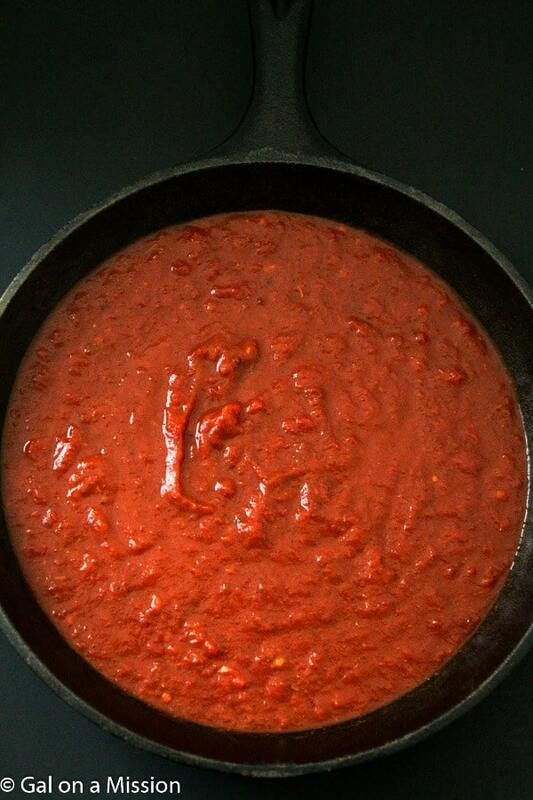 That’s one of the reasons this is my go-to recipe for enchilada sauce. In a large pot, warm the oil over medium-heat until warm, whisk in the flour, then add in the minced garlic cloves. Mix in the diced tomatoes, dried oregano, chili powder, cumin, cayenne pepper, salt, and water. Allow the sauce to simmer on low-heat covered for up to 2 hours. If you do not have 2 hours, allow it to simmer on medium-heat for 20 minutes. I’ve been wanting to make my own enchilada sauce. Thanks for reading my mind. Pinning. Would you consider it safe to can this sauce using a water bath? Do you blend it to make it smooth? No need to blend it, Pegi.